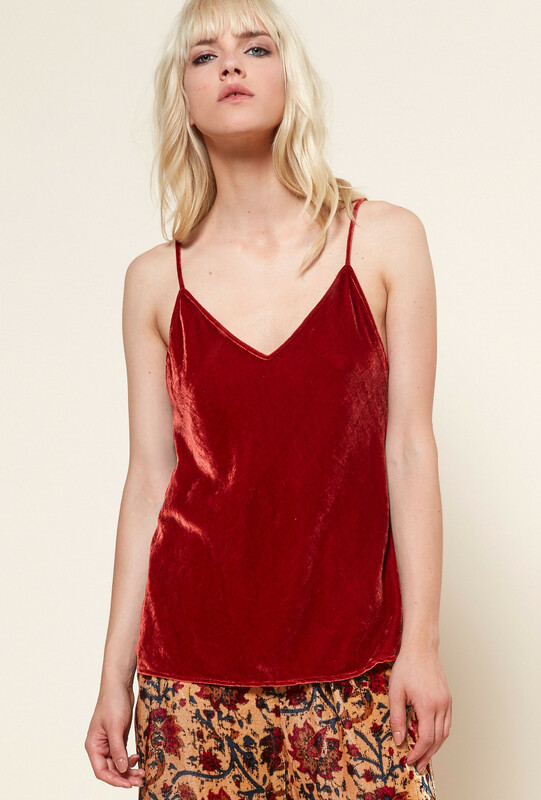 This velvet silk camisole with thin adjustable straps is a refined and versatile investment. Let yourself be charmed by its romantic side. 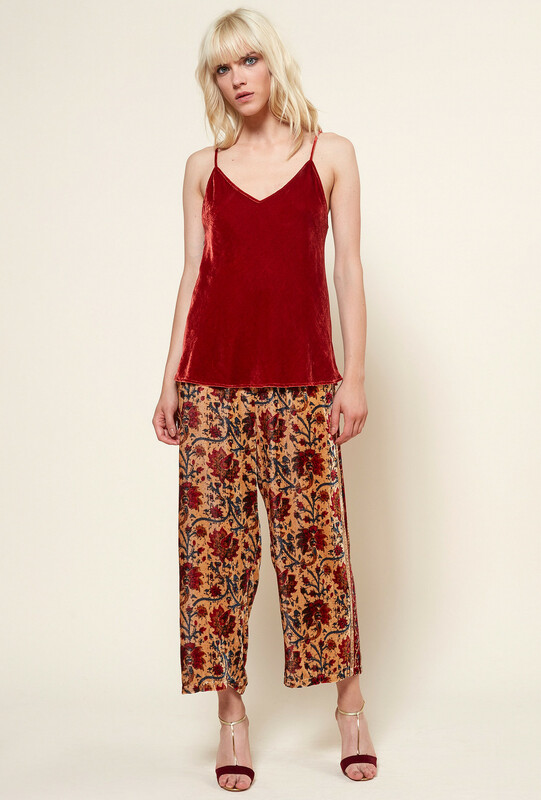 Il is adorned with a V neckline In the front and back.